Narratively designed and cultured etiquette. We are observing an Outlander television series inspired outfit with a bedecked décor glamor. 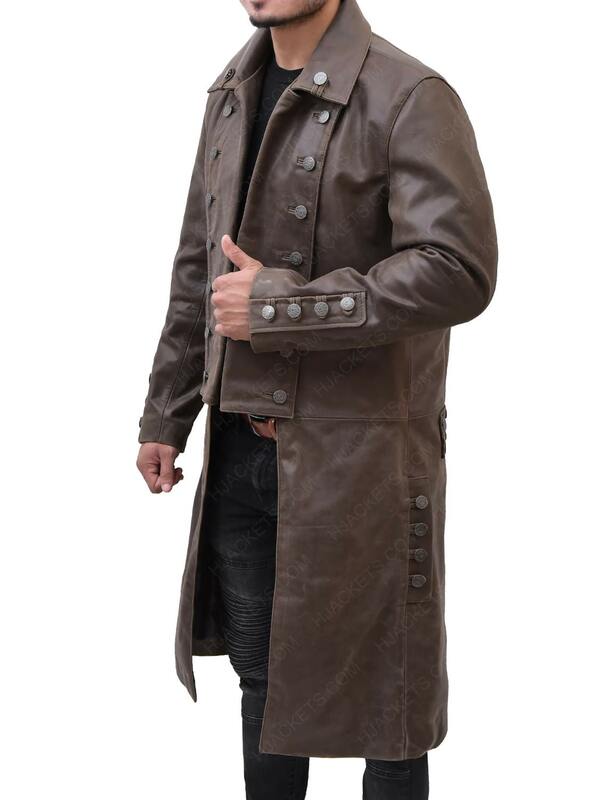 This Jamie Fraser Leather Coat is one of the best splendid wears for men you will find elsewhere. Diligent craftsmanship ensures that you get a courteous sartorial experience. 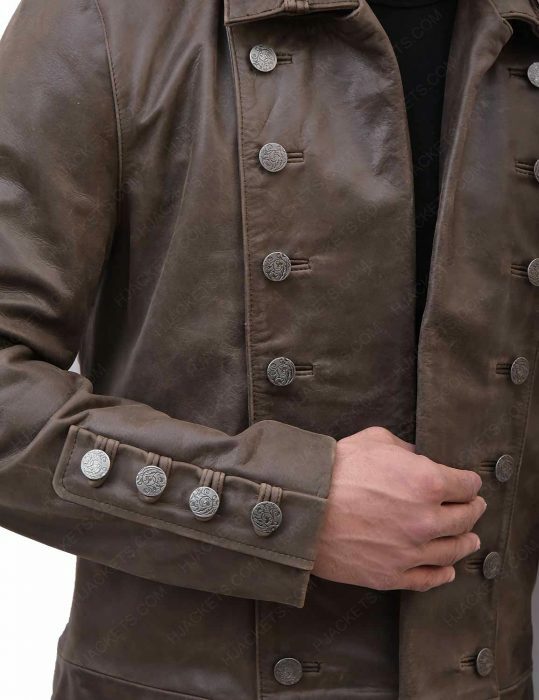 A fabulously festooned mens formal wear readily engaged with an old English tradition of valor. 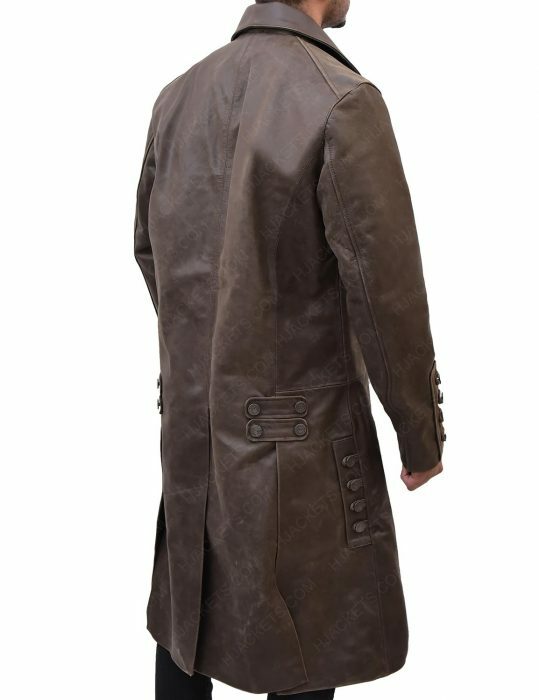 The Jamie Frasers Coat incorporates the old-fashioned gentleman class that needs to introduction rather just the incarnate put up straight on. 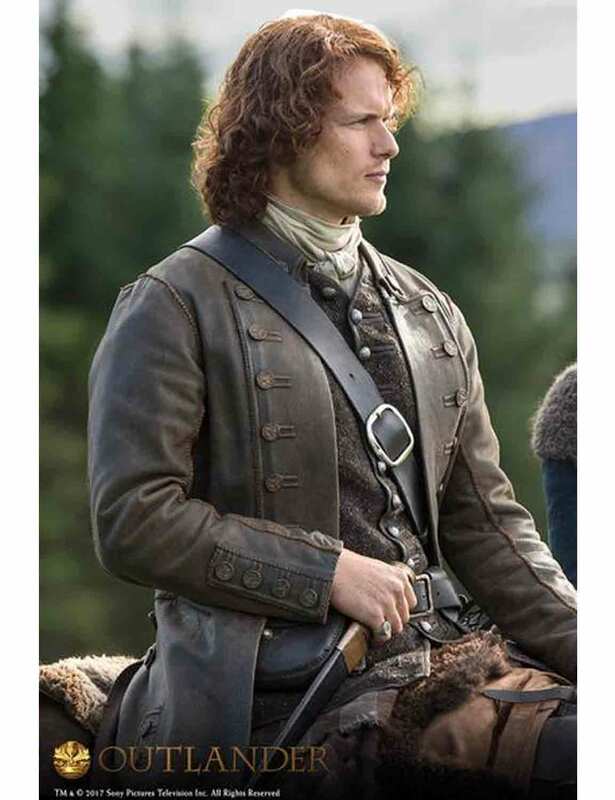 Surfaced on with a rust brown collar, manifold button arrangements on the anterior remarkably amplifies this Outlander Sam Heughan Coat to innovative extents in today’s vogue upmarket. Exceedingly topnotch mens attire pronounced with buckle up body augments. A-class wear with genuinely enrolled ensemble artistry. 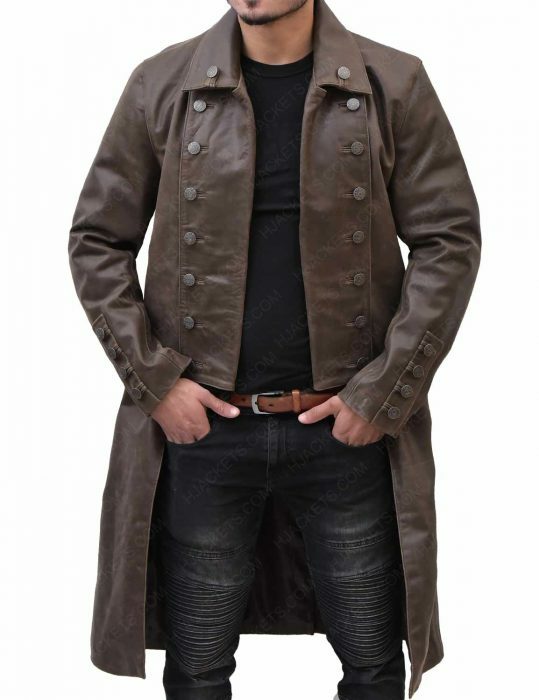 True to the image The leather of the jacket is very good along with a soft viscose inner. 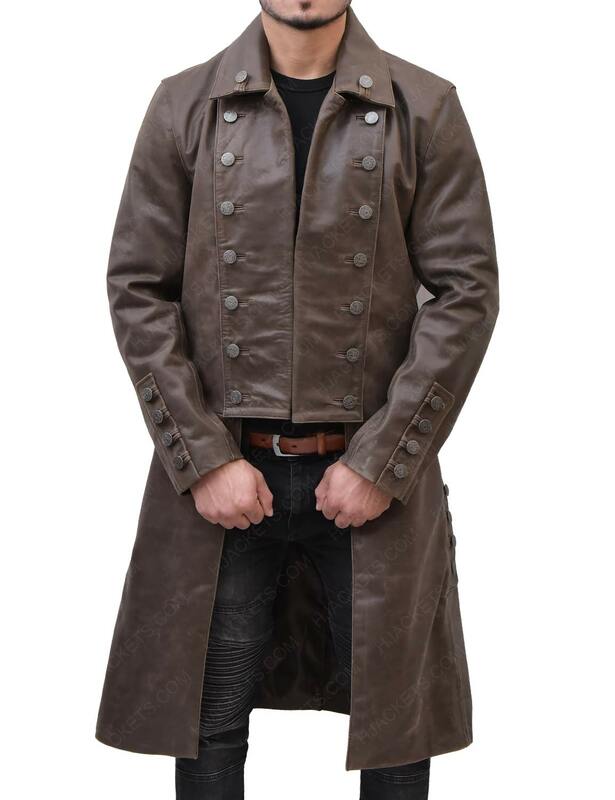 I was a little unsure about buying this once but the jacket looks exactly like the one advertised on the website, true to the images. However the jacket is a little bit tight on me, I ordered a medium since I always get medium sized jackets, maybe I should have gone a size larger. Best Jacket in my wardrobe I have just received my jacket and it looks amazing. It looks like I have just got the jacket out of the series itself. 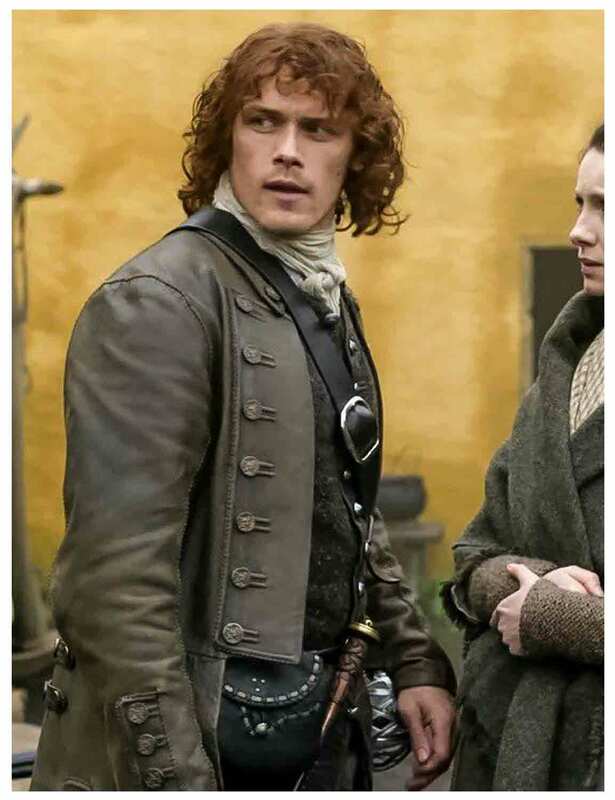 I highly recommend this to all the fans of the Outlander TV series.